This screen shot is from bizpacreview. THIS was the exact response of our TOP military leaders at the EXACT moment Obama said that terrorists were not a threat to our nation’s existence. Houston, we have a problem. “[W]e’ve done all this while cutting our deficits by almost three-quarters.” This is pure fiction. 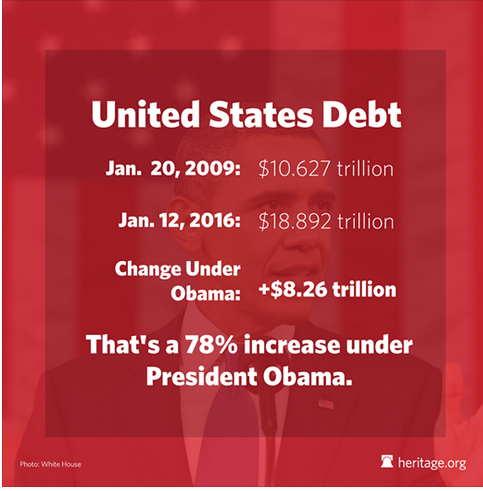 Obama has doubled the national debt, and it’s not because he cut the deficit. Rather, he spent staggering amounts of money in his first months in office–which he assigns, dishonestly, to the previous fiscal year, under George W. Bush. He “cut” (i.e. spent more gradually) from that spending, but only under protest, after Republicans took the House in 2010. The article relates the entire story, you can follow the link above for details. The use of a Democrat staffer to make this point is an indication of one of two things–a staff too lazy to find a person actually helped by President Obama’s policies or the fact that so few people have been helped by the President’s economic policies that the staff could not find one. Either way, it is a tacky move. But a McClatchy review of White House salaries shows that when the same calculations that produced the 77 cents is applied to the White House, the average female pay at 1600 Pennsylvania Avenue is less than the average male pay. When counted the same way that produced the 77-cent figure, the analysis found, women overall at the White House make 91 cents for every dollar men make. That’s an average salary of $84,082 for men and $76,516 for women. Asked about its own payroll, the White House said Wednesday that it should be measured by how it pays men and women in the same jobs, but not the kind of broad brush that compares overall male and female pay. In other words, the White House doesn’t want to be measured by the same yardstick they use for everyone else. The 77-cent canard is based on averaging on the widest possible “big brush” scale. Their answer — that men and women doing the same work and responsibility get paid equally — holds true in the marketplace as well. In fact, that’s what the 91% gap shows, in both the White House and the Blau-Kahn study; the difference is in the rational choices made by women in the marketplace, not some kind of malicious conspiracy against the female gender. Another reason the alternative media is necessary under the Obama Administration. Today’s Daily Caller posted a story about Emilie Lamb, an accountant who suffers from lupus. She is now working a second job to cover a calculated $6,000 increase in out-of-pocket health care costs per year. She will watch the State of the Union address as a guest of Representative Marsha Blackburn. She was forced to purchase a more expensive plan after her old policy with CoverTN was canceled. The federal government had denied CoverTN’s request for a waiver to grandfather her plan into Obamacare three times. Even with a small federal subsidy, her premiums increased from $57 to $373 per month. Ms. Lamb explained that she voted for President Obama in 2012 because she hoped that ObamaCare would help her with her medical care. Please follow the above link to the story, which includes a video of Ms. Lamb telling her story. 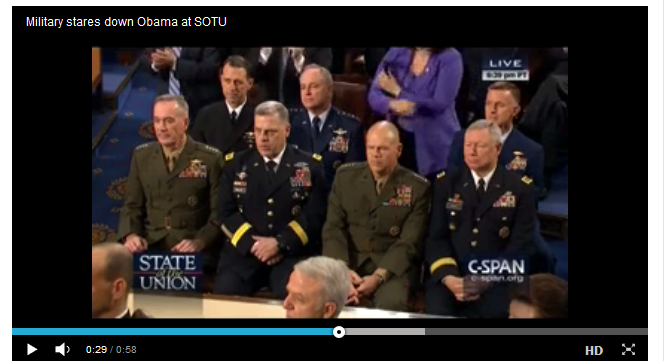 PJ Media posted its own interpretation of President Obama’s State of the Union address. They were not kind. I’m not saying that they were not accurate; I am simply saying that they were not kind. The state of our union is weak and fraying. This president has launched attacks on faith and is going out of his way to divide our people. Our economy is not growing, it contracted in the final quarter of 2012. Our economy is not growing jobs. On the international front, North Korea greeted President Obama’s 2013 rendition of Give Me More Money with a nuclear test — a sure sign that his strategy of engagement, which his soon-to-be defense secretary supports, is a failure. But like with all of his other failed policies, Barack Obama declared that he will just keep on doing them all. The speech included more taxes on the ‘rich,’ which will neither create jobs or grow the economy. What is the purpose of raising anyone’s taxes? He also stated that “ask more of our wealthy seniors.” You know–those people who have worked and saved all their lives for their retirement. President Obama stated in so many words that he wanted us all to get along. Somehow he failed to mention that we will not get along until all of us blindly follow him. Somehow I don’t think many Americans are interested in doing that. From there he moved on to pressing for “comprehensive immigration reform.” He claimed that he believes in stronger border security, which simply is not credible when his homeland security chief claims that the border has never been safer while there is a civil war raging in Mexico. He called on people of faith, whom he has attacked via the ObamaCare abortifacient mandate, to help him “get it done” on immigration reform. He hits you with one hand, then wants you to help him with the other. Near the blessed end of his speech, Obama hailed the idea and ideals of the citizen. But this president is working to water down the legal meaning of the word. Again, incoherent. The consequences of Barack Obama’s loose grasp on the real world are just going to have to work themselves out now. He will win some and he will lose some. Hopefully he will lose more than he wins. “The evil that men do lives after them,” Shakespeare wrote of ambitious men centuries ago. So it will be with Barack Obama, who has done much evil to the Constitution, to the country, and to the concept of truth. He will continue to do more evil to them all for the next four years. America, you were warned but you re-elected him anyway. And that’s the state of our union. That is one of the best reports on the speech I have seen.